Interface, Inc. activities are jointly overseen by an elected and esteemed group of business and organizational leaders. Directors currently serving on the Interface board include the following representatives. Mr. Hendrix was elected Chairman of the Board in October 2011, having served on the board since October 1996. He joined the Company in 1983 after having worked previously for a national accounting firm. He was promoted to Treasurer of the Company in 1984, Chief Financial Officer in 1985, Vice President-Finance in 1986, Senior Vice President-Finance in 1995, Executive Vice President in 2000, and President and Chief Executive Officer in July 2001. He served as President of Interface until Jan. 2016 and as CEO until March 2017. Mr. Hendrix served as a director of office technology solutions provider Global Imaging Systems, Inc. from 2003 to 2007, and has served as a director of American Woodmark Corporation since May 2005. With more than 30 years of service at the Company, Mr. Hendrix brings to the Board a unique understanding of our strategies and operations. His experience extends to virtually all aspects of the Company’s business, but with a particular emphasis on strategic planning and financial matters. His tenure provides consistent leadership to the Board, and facilitates the interrelationship between the Board and the Company’s executive leadership team. Mr. Burke was elected as a director in July 2013. Since 1997, Mr. Burke has been Chief Executive Officer of Trek Bicycle Corporation, one of the world’s largest manufacturers of bicycles, and a company with a mission to help the world use the bicycle as a simple solution to complex problems. 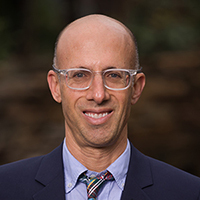 He served as chairman of President George W. Bush’s President’s Council on Physical Fitness & Sports, and is a founding board member of the Bikes Belong Coalition. Mr. Burke also serves on the board of Trek Bicycle Corporation. Mr. Burke brings to the Board extensive executive level business experience at a manufacturing company that is focused primarily on sales in the consumer channel and with an emphasis on sustainability and innovation. Mr. Cogan was elected to the Board in January 2013. 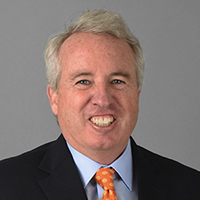 Since 2001, Mr. Cogan has been the Chief Executive Officer of Knoll, Inc., a leading designer and manufacturer of branded office furniture products and textiles recognized for innovation and modern design. He previously served as Chief Operating Officer of Knoll and held several positions in Knoll’s design and marketing group worldwide, including Executive Vice President - Marketing and Product Development and Senior Vice President. Mr. Cogan is a director of Knoll and cabinet manufacturer American Woodmark Corporation, as well as one nonprofit organization. He brings to the Board executive level experience at an international manufacturing company in the commercial interiors industry, and an extensive background in design and marketing. Mr. Gould was elected as a director in May 2016 and is Interface's President and Chief Executive Officer. He joined the Company as Executive Vice President and Chief Operating Officer in January 2015, and was promoted to President and Chief Operating Officer in January 2016. He became President and Chief Executive Officer in March 2017. From 2012 to January 2015, Mr. Gould was the Chief Executive Officer of American Standard Brands, a kitchen and bath products company. Prior to his employment with American Standard Brands, Mr. Gould held senior executive roles at Newell Rubbermaid Inc., a global marketer of consumer and commercial products, serving as President of its Home & Family business group from 2008 to 2012 and President of its Parenting Essentials business group from 2006 to 2008. He also previously held executive level positions at The Campbell Soup Company (2002-2006) and The Coca-Cola Company (1995-2002). Mr. Gould brings to the Board a broad range of executive level experience at international companies with distribution into both the commercial and consumer channels, with particular expertise in sales, marketing, brand management, strategy and operations. Mr. Kennedy was elected as a director in May 2000. He is the Chairman of Joseph P. Kennedy Enterprises, Inc., a real estate development company. He was the President of MMPI (Merchandise Mart Properties, Inc., a subsidiary of Vornado Realty Trust based in Chicago, Illinois) from 2000 to 2012. He has served on the board of trustees of Ariel Mutual Funds since 1994, and has served on the board of directors of Knoll, Inc. since November 2014. Mr. Kennedy also serves on the boards of one nonprofit organization and one charitable foundation, and is active in several educational and civic organizations. From 2009 to January 2015, Mr. Kennedy served on the board of trustees of the University of Illinois. Mr. Kennedy brings to the Board substantial executive level experience that is particularly beneficial to our strategies and sales and marketing efforts in the corporate office and retail market segments. His insight into governmental and economic affairs and his civic involvement also are valuable to the Board. Ms. Kilbane was elected as a director in July 2018. Previously, she served as the Senior Vice President, General Counsel and Secretary of The Sherwin Williams Company, a Fortune 500 global manufacturer and retailer of paint and coatings, from January 2013 through August 2017. Prior to joining Sherwin Williams, Kilbane was the Senior Vice President, General Counsel and Secretary of American Greetings Corporation from 2003 to 2012. She spent 16 years as a partner at Baker & Hostetler, where she chaired the Intellectual Property Transactions Group. Kilbane also serves on the board of directors of The Andersons, a diversified agribusiness company, and The Davey Tree Expert Company, a provider of tree and landscape services. She received her B.A. and her J.D. from Case Western Reserve University. Mr. Kohler was elected as a director in October 2006. 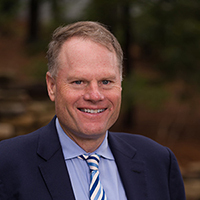 Since April 2015, he has served as the President and Chief Executive Officer for Kohler Co., a global leader in the manufacture of kitchen and bath products, interior furnishings, engines and power generation systems, and an owner and operator of golf and resort destinations. His previous positions at Kohler include President and Chief Operating Officer (2009 to 2015), Executive Vice President (2007 to 2009) and Group President of the Kitchen and Bath Group (1999 to 2007). Mr. Kohler was formerly a chairman of the National Kitchen and Bath Association’s Board of Governors of Manufacturing. He has served as a member of the board of Kohler Co. since 1999, and also is a director of ceramic tile and natural stone manufacturer and distributor Internacional de Cerámica, S.A.B. de C.V., a public company traded on the Mexican Stock Market. Mr. Kohler brings to the Board extensive business experience from his service in executive positions at a manufacturing company with international operations and distribution into both commercial and consumer channels. Mr. Miller was elected as a director in May 2000. 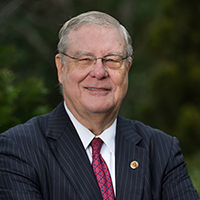 Since 1979, Mr. Miller has served as Chairman and Chief Executive Officer of Fidelity Southern Corporation, the holding company for Fidelity Bank. He also has served in various capacities at Fidelity Southern Corporation’s affiliated companies, including as Chief Executive Officer of Fidelity Bank from 1977 to 1997 and from 2003 to the present, Chairman of Fidelity Bank from 1998 to the present, and Chairman of LionMark Insurance Company since 2004. Prior to his banking experience, Mr. Miller practiced law. 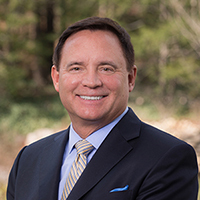 Mr. Miller has served on the board of supply chain management and enterprise software solutions provider American Software, Inc. since 2002, and currently serves on the boards of three private companies and five nonprofit organizations. He also serves on the board of governors of the Florida State University School of Business. 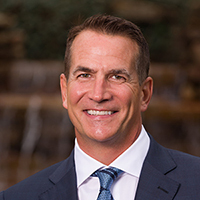 Mr. Miller brings to the Board extensive executive level experience at a publicly traded company, particularly in the areas of banking, capital markets, corporate finance and accounting. Ms. Palmer was elected as a director in October 2015. Since 2007, Ms. Palmer has served as President and Chief Executive Officer of Taylor Morrison Home Corporation, a publicly traded leading North American home builder and developer, after previously serving as Executive Vice President for the West Region of Morrison Homes. 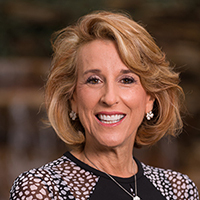 Her previous experience includes senior leadership roles at Blackhawk Corp. and Pulte Homes/Del Webb Corporation, each homebuilders and developers of retirement communities, where she last held the title of Nevada Area President at Pulte/Del Webb Corporation. 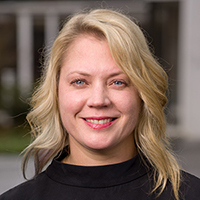 Ms. Palmer brings to the Board extensive executive level experience in the residential building industry, including leadership in the areas of sales and marketing, building development, strategy and operations management.